A decriminalization measure, SB 1269 has been voted down by the state Senate Courts of Justice Committee. The bill would have provided a civil penalty of no more than $100 for a first-time marijuana possession violation -- no arrest, no jail time, and no criminal record. Under current law, a first offense is punishable by a maximum fine of $500 and a maximum 30-day jail sentence. Subsequent offenses are a Class 1 misdemeanor. Although this may seem like a setback, the future for progressive marijuana policy in Virginia is bright. Senate Majority Leader Thomas Norment has proposed a 6-month study to gain further knowledge about how decriminalization will impact Virginia’s citizens. This study is slated to be completed and presented before next years legislative session. Norment is confident that a similar bill would be able to pass early in 2018, immediately following the conclusion of the study. Decriminalization is often followed by further progress as lawmakers realize the positive impact of such policies. 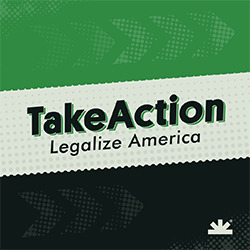 Connect with Virginia NORML to find out how to help the effort near you.